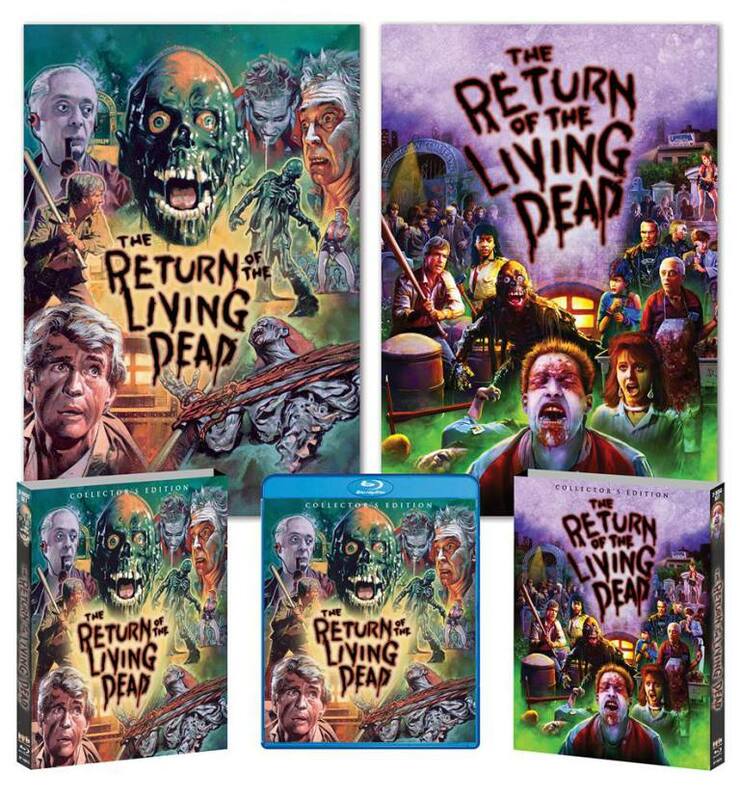 Scream Factory will be releasing the new Collector’s Edition of Return of the Living Dead in two different versions, a regular Edition or a Deluxe Edition, and today we have all the information for you to check out. The two-disc set is being released on July 19th, and is packed full of awesome new special features. We can all look forward to the film being in a new 2k of the inter-positive. You can pre-order the regular Collector’s Edition or a Deluxe Edition that’s limited to only 1,000. If you order the regular Collector’s Edition, you will receive a poster and early shipping date, which is two weeks before the street date, if you order the Deluxe Edition, you get 2 posters, slip cover, and a early shipping date, which is three weeks before the street date.